Indian women's cricket team crashed out of the ongoing International Cricket Council (ICC) Women's World T20 tournament after being handed over an eight-wicket defeat by England in their semi-final match here at Sir Vivian Richards Stadium on Friday. Defending a small total of 112 runs, Indian bowlers failed to maintain the pressure on the opposition despite getting some early breakthroughs in the encounter. Indian spinner Radha Yadav gave England the first jolt in the form of opener Tammy Beaumont (1), who in her attempt for a slog sweep, was caught at mid-wicket by Arundhati Reddy. After adding 20 more runs to their total, England lost their other opener Danielle Wyatt at the personal score of eight, after she gave an easy catch to Jemimah Rodrigues in the deep midwicket. Later, an unbreakable partnership between wicket-keeper Amy Jones (53*) and all-rounder Natalie Sciver (52*) not only left the Indian bowlers toiling hard for a wicket, but also drove their side to a convincing victory. Earlier, batting first, India failed to put up a competitive total on the scoreboard as their in-form batters- Smriti Mandhana and Harmanpreet Kaur- could not come out with a match-defining knock like they did in the previous encounters. 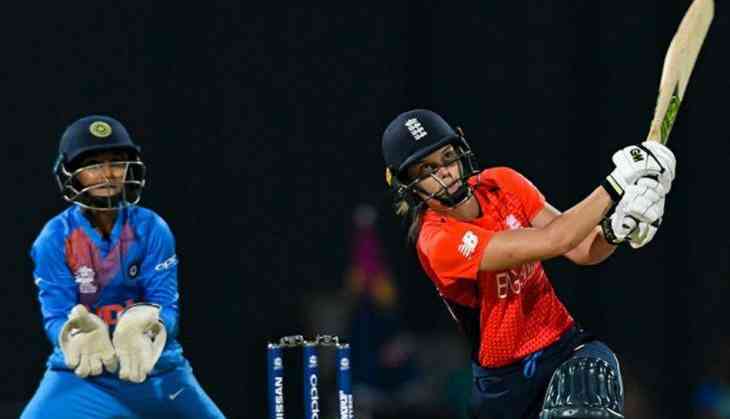 While Mandhana contributed 34 runs with her bat before getting caught and bowled to English bowler Sophie Ecclestone, Harmampreet Kaur could only score 16 runs for the Indian side. Apart from Jemimah Rodrigues' crucial contribution of 26 runs, no other Indian batter succeeded in going beyond 15 runs in the match. Amy Jones was adjudged Player of the Match for making the maximum contribution, 53 runs, to her side's total. England will next take on Australia in the final of the ongoing prestigious tournament at the Sir Vivian Richards Stadium on November 25.